CAB's charge is to evaluate compliance of operators of former Keiro facilities with 13 conditions of sale. Representatives serving on the Community Advisory Board (CAB), a 12-member body mandated by the California Attorney General’s Office in conjunction with the sale of the former Keiro facilities, were announced on Aug. 22. No issue has divided the Japanese American community in recent years as much as the sale of the Keiro facilities, but chairman Bruce Ishimatsu stressed that the CAB is an independent body whose mission is to ensure that the new operators of the four facilities comply with the conditions stipulated by the attorney general. Ishimatsu is a practicing business litigation attorney and has served as president of the Japanese American Bar Association. His mother has been a resident at the Boyle Heights facility since 2014. When the Attorney General’s Office approved the sale it imposed 13 conditions on Pacifica Companies, the new owners of Keiro’s facilities. The conditions will be in effect for five years and include but are not limited to accepting the “old-tier” rent amounts that were accepted at Keiro Retirement Home, providing Japanese foods and traditional Japanese activities, and observing Japanese holidays. “The bottom line is this — nobody has yet tried to tell us what to do,” Ishimatsu stated. “Neither Keiro, Aspen [Skilled Healthcare, Inc.], Pacifica or Koreisha has told us what our governing rules should be. Nobody has exerted any influence, they haven’t said, ‘You guys shouldn’t be poking your nose in this area.’ We don’t take orders from anybody. 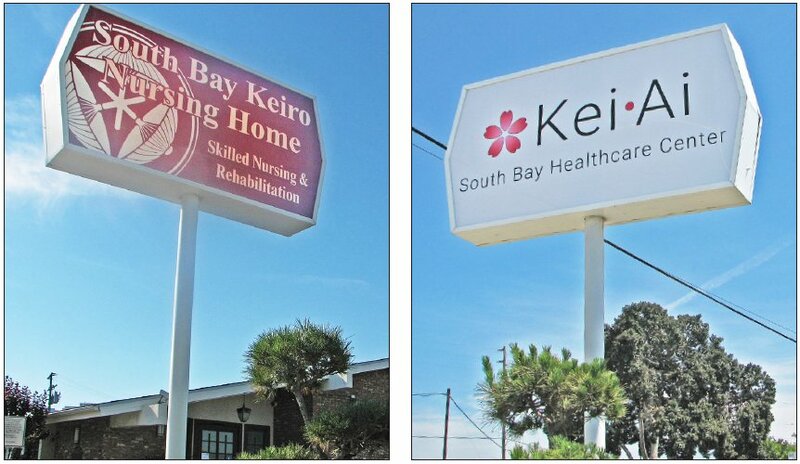 The selection process was administered by Keiro Senior Healthcare and meetings began in February; however, Koreisha Senior Care & Advocacy representatives were not seated until the summer. The attorney general stipulated that three seats on the CAB be given to Koreisha (formerly the Ad Hoc Committee to Save Keiro). The reason that the Koreisha members were not initially seated, Ishimatsu explained, was that they still had to apply to serve on the board and that they did not submit applications by the Dec. 15 deadline. An individual had submitted an application by the deadline and indicated that she was a member of the Ad Hoc Committee, but she was not Koreisha’s official selection for the post. “The one person who indicated that she was with that group, she was deemed by the group not to be part of the group, then we said she’s out,” Ishimatsu said. With the attorney general’s approval, the CAB board was expanded from 10 to 12 members. The Koreisha members are seated on the board: Laura Morita Bethel, Traci Toshiyuki Imamura and Mo Nishida. Other CAB members include Akiko Yamada Manaka, vice chair, Jerry Fukui, Dr. Kenneth Hayashida, William “Wimp” Hiroto, Junko Horii, Beverly Ito, Kaoru Hagihara Mase and Raymond Shibata. Koreisha President Dr. Takeshi Matsumoto referred to a Vox Populi article written by Toshiyuki Imamura, “CAB or KAB?” published in The Rafu on July 2. “In her Rafu article about the CAB, Traci commented on the three seats and the questionable makeup of CAB. Whether the CAB actually serves the interests and welfare of the Sakura Gardens residents, ICF patients, and Kei-Ai nursing home patients, only time will tell. I hope they do,” Matsumoto stated. “One question, did the CAB complain to Northstar/Pacifica about the rent increase to new residents and the planned increase in fees for services aside from room and board, like bathing assistance and vital signs checks, etc.? These may be legal but protecting the financial interests of the residents demands a protest. Affordability is at issue. The CAB has held several meetings, the most recent this week, and the group has visited three of the four facilities to explain their goals and mandate. A suggestion box for staff, residents and family members will be placed at all the facilities and Ishimatsu said he was open to having a meeting with the general public. “If the general community would like to have us explain what our mission is, that would be fine. It would be an extension of what we’ve done,” he said. CAB voted and approved their governing rules in July, prior to the seating of the Koreisha members. Among the rules are requirements that board members do not speak to the public or media about information presented in the CAB meetings. Minutes from the meetings are also not required to be made public. “Because of the confidentiality that we’re bound to, we have our own governing rules, the agreement is that members will not speak to the press or publicly without prior consent of the entire CAB,” Ishimatsu said. Ishimatsu said the 12 members are receiving no compensation for their work and will be issuing their own report, independent of the operators of the facilities. He said he is hoping to build a consensus among the CAB. “The idea is that the people on the board come from various segments of the community, and they have some connection with the community. That is the oversight group of the owners’ compliance with the conditions of sale,” Ishimatsu stated. Following are biographies as provided by the Community Advisory Board. • Bruce Ishimatsu (chairperson) is a practicing business litigation attorney who has been actively involved with community organizations, including serving as president of the Japanese American Bar Association and the Asian Pacific American Bar Association of California. He is an active member of the National Asian Pacific American Bar Association, based in Washington, D.C., and a long-time supporter of the Japanese American Cultural and Community Center and the Japanese American National Museum. His mother currently resides in Keiro Retirement Home (Sakura Gardens). • Akiko Yamada Manaka (vice chair) is active in several Japanese American community organizations. She is serving on the Board of Directors for the San Fernando Valley Japanese American Community Center and is the founder and leader of Girl Scout Troop 1466 for the SFVJACC. She has also served as the basketball commissioner for the Crescent Bay Optimist Boys Basketball and Japanese American Optimist Girls Basketball for the San Fernando Valley Japanese Athletics Program. Her husband, Tim Manaka, served on the Keiro Retirement Home Board for 18 years and her mother and in-laws reside in the former Keiro facilities. • Laura Morita Bethel is a happily retired telecommunications technician and avid fisherperson. She is a Sansei born in Sacramento and raised in West Los Angeles. Her experience with Keiro began in 2009 when her mother entered Keiro (now Kei-Ai) Nursing Home in Lincoln Park. She has continued to be involved with her mother’s care at her current residence at Sakura (formerly Keiro) Intermediate Care Facility in Boyle Heights. When the Keiro facilities were put up for sale, she became concerned for her mother, other residents and the staff. She joined Ad Hoc/Koreisha. She is now committed to helping maintain the culturally sensitive quality of care Keiro once represented. • Jerry Fukui represents Keiro’s Board of Directors on the CAB. He received a bachelor’s degree in biological sciences from the University of Southern California and is a licensed funeral director who is active in many community organizations, including JACCC, Little Tokyo Service Center, Japanese American Optimist Club, Nisei Week Foundation, Keiro Services, Kizuna, Little Tokyo Community Council, Japanese Chamber of Commerce of Southern California, and Little Tokyo Business Association. • Kenneth Hayashida, MD, FAAP is a board-certified pediatrician who has cared for thousands of children in the southern Orange County area. He received his Doctorate of Medicine from USC and did his pediatric internship and residency at the Children’s Hospital of Orange County. Keiro provided health and residential services to three generations of his family, and he supported Keiro through the “Doshikai” committee. He has a diverse educational and personal background that converges with his interest in serving as a CAB volunteer to review patient outcomes, caregiver support and the use of technology in healthcare settings. • William “Wimp” Hiroto is a graduate of the USC School of Journalism and his column, “Crossroads to Somewhere,” is regularly featured in The Rafu Shimpo. He was the executive director of the Gardena Valley Japanese Cultural Institute and Japanese Cultural Institute Gardens apartments for 27 years; was editor of a Li’l Tokio newspaper for 17 years; and was an executive with Yamato Restaurants for six years. His brother, Edwin Hiroto, was one of the founding visionaries of Keiro Services, and his wife, Margaret, served as the administrator of Keiro Nursing Home. As a resident of the retirement home, he offers a first-hand perspective on the transition and provision of resident care services pre- and post-transition. • Junko Horii has been in the insurance industry for over 30 years, serving clients in both Los Angeles and Orange counties. Though she has no family members in the former Keiro facilities, she is passionate about serving on the CAB to represent elders in the Japanese-speaking community who are, or will be, in need of culturally sensitive senior care services, including Japanese language, food, and activities. She was one of the founding members of Senior Foundation, a non-profit organization created exclusively to raise funds to support the seniors of Keiro Senior Healthcare. Horii is a graduate of Osaka University with a bachelor’s degree in pharmacology and biochemistry and worked as a pharmacist in Japan. • Traci Toshiyuki Imamura serves on the Board of Directors for Koreisha Senior Care and Advocacy/Ad Hoc Committee to Save Keiro, in addition to the CAB. Her diverse community involvement includes a battered women’s shelter, South Bay F.O.R. Basketball and Volleyball, Long Beach Japanese Cultural Center’s Kokoro Taiko, Red Cross, Heal the Bay, Gardena Valley Japanese Cultural Institute, Hiroshima Kenjinkai, Gardena Buddhist Church Fujinkai, and the JAO/Keiro ICF craft workshops. Imamura, Laura Morita Bethel and Mo Nishida organized the “Speak Out” event to give residents, families and volunteers a voice regarding the proposed sale of the Keiro facilities and was part of an eight-member team that met with the Attorney General’s Office to offer information from the community on the transaction. Her family cared for her father-in-law for two years in their own home before he passed away at 96 years old. Imamura has worked in the healthcare IT industry for over 30 years. • Beverly Ito is the current administrator of Sakura Intermediate Care Facility, formerly Keiro ICF. She was a Keiro employee for over 40 years and has a unique historical perspective of Keiro’s culture, mission, and tradition of caring. Beverly earned her Doctorate of Pharmacy degree from USC and served as the pharmacy director at City View Hospital and consultant pharmacist for Keiro before pursuing a career in administration. Her grandmother, father, mother, mother-in-law and aunt were all former Keiro residents, enabling her to draw upon her experiences as a family member, care advocate, and facility operator. • Kaoru Hagihara Mase is the current president of Kasa No Kai, a volunteer group that has generously supported the Keiro facilities for the past 25 years. Kasa No Kai hosts a coffee shop event every Friday and Saturday morning during the first four weeks of each month for residents, family members, staff and visitors to the Boyle Heights campus, offering coffee, green tea, Japanese confections and seasonal sweets. In addition, Mase was a close friend of Keiro co-founder Fred Wada and his wife Masako, and drew inspiration from his charitable work and efforts to establish Keiro’s Umbrella of Care. She formed an attachment to the Keiro seniors and facilities through her friendship with the Wada family. Currently working in the food and beverages management industry, Mase is committed to serving on the CAB and continuing Kasa No Kai’s support for the sake of the residents. • Mo Nishida traces his connection to Keiro back to the Japanese Hospital on First Street and Fickett, where he was born. After serving in the U.S. Army, 11th Airborne Division Medical Battalion, he attended Los Angeles City College and Cal State Los Angeles, earning a bachelor’s degree in chemistry. He was on the central staff of the Japanese American Community Services Office of Asian Involvement and became a full-time community worker and activist. He is one of three Koreisha representatives on the CAB and believes in preserving the Umbrella of Care legacy so that seniors in the Japanese and Japanese American community have care placement options as they age. • Raymond Shibata is a retired senior project manager from Hughes/Boeing. He graduated from USC with a bachelor’s degree in aerospace engineering. He was the president of Family and Friends of Keiro Nursing Homes, a fundraising and support group that raised over $2.5 million to enhance the quality of life for residents of Keiro Nursing Home, South Bay Keiro Nursing Home and Keiro ICF from 1980 to 2011. Shibata is on the boards of the South Bay JACL chapter and the Gardena Valley JCI and is the president of the Miho Club USA Kenjin-kai. His parents have been residents of Keiro Retirement Home, Keiro ICF and Keiro Nursing Home, providing him with the perspective of caregiver advocate.